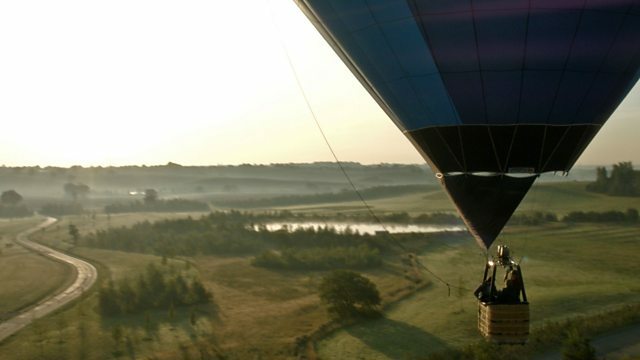 Horticulturist Christine Walkden explores gardens and countryside from a hot air balloon. Christine continues her exploration of Britain's gardens in Essex. Christine Walkden continues her airborne exploration of Britain's gardens by dropping in on the county of Essex. At the Beth Chatto Gardens, Christine experiments with triangular planting and shares tea and cake with a gardening legend. At RHS Hyde Hall, she shifts rocks with a former student, and it's all aboard a vintage Thames sailing barge for a trip on the Blackwater Estuary.